If he wanted to, St. Paul resident Ryan Butler could clear his driveway from the comfort of his living room. 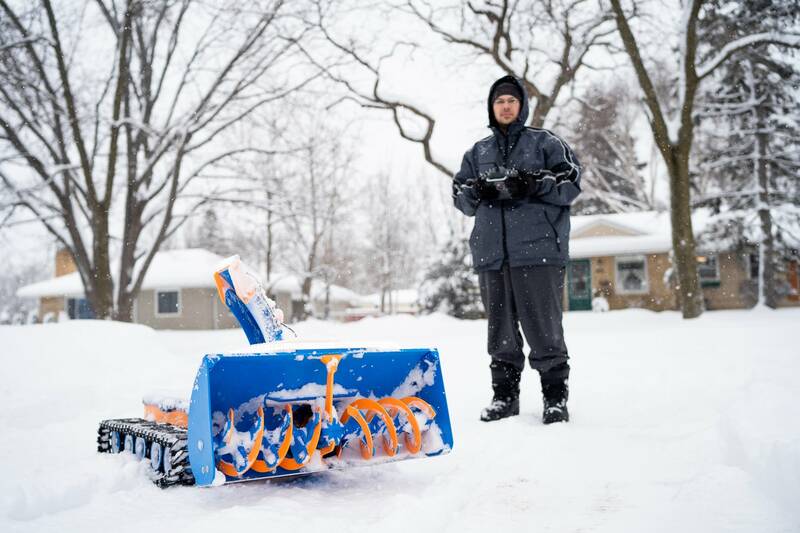 He designed and 3D-printed his own remote control snowblower. The snowblower is almost entirely made of plastic and powered by six 12-volt batteries. Butler can raise and lower the plow, change the direction of the chute and drive the plow over almost any winter terrain. He's been interested in robotics since he was a kid, now he designs and sells the plans on his website. Want your own? You'll have to print and assemble it yourself for now.